I already wrote about Autodesk 360 integration in AutoCAD 2013. But I haven’t extensively use it. Recently I read from the CAD Geek blog about attaching reference drawing from Autodesk 360. I was like: really? We can do that? So I explore about it more. Apparently it works much better than I though. It works like many PDM integration, but of course, limited. If you work with a small team or want to share drawings to consultant, this is a perfect alternative for Vault! The best thing about Autodesk 360, you don’t have to install and maintain Vault servers. And you don’t have to think how to publish collaboration workspace and let your consultant to access it. 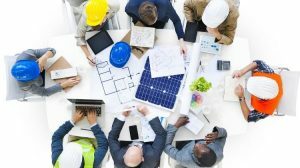 It’s a great feature to backup drawings and collaborate with your partners. To use Autodesk 360, you must have an Autodesk ID. You can create a free one, but if you are a subscription customer, then you better use it. Free account gets 3GB storage space, and subscription account get 25GB! 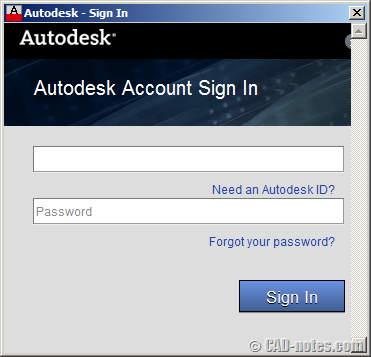 To login from AutoCAD, you can click sign in button at the right side of AutoCAD title bar. AutoCAD will open a pop up. Type your account and password to login. If you don’t have an account yet, click need an Autodesk ID? below the account name field. Now that you signed in, let’s see the options for cloud storage. 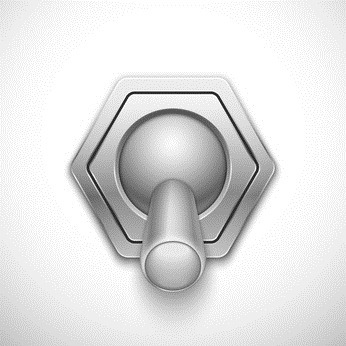 Open AutoCAD options, go to online tab. Check if the enable cloud storage option is enabled. You must enable this feature to enable saving to cloud storage. Another option you should be aware of is option to save automatically when you save. This is very useful if you want to have backups on cloud. When something happened to your system, you can open/download your file from your storage. And not limited to latest version, it saves all version you created. So if the file is corrupt, you can download previous version too. Pretty cool, isn’t it? You can also choose to save only documents you select. This is probably preferable if you already have a backup system and only want to share documents to other company. Or if you want to make sure you can access your documents anywhere (we will get to this). If you enable automatic saving to cloud, then every time you save your drawing, AutoCAD will upload a backup to the cloud storage. This not only works for new drawings, but also existing drawing. If you open an existing drawing then save it, it will also goes to the cloud. The interesting thing is, there is option to save to Autodesk 360 when you want to save a new file. You can click Autodesk 360 to open your cloud storage. In that storage you can create folders just like working locally. Then You can save it there and work like usual. With this method, you save directly to cloud and don’t have a backup file locally. Well not really, we will cover about this later. If you save files locally let AutoCAD to upload them automatically, then just work like usual. There is nothing else you should do. But if you choose to save every new file to cloud and don’t have local file, you can open it from 360 storage. You may want to try working with Autodesk 360 for a while. We will cover more about it later. How you can edit and view documents online, manage your files online, collaborate, uploading and downloading using browser, and how Autodesk 360 really works.